Discovering the real essence of Tabant begins with researching a few basic things. Ready to learn just where this unique destination is and what you can do there? Located in Tadla-Azilal, Tabant is within easy reach of a few interesting areas like Agouti, which is 9 miles (14 kilometers) away. Gain unbelievable savings on Travelocity's Tabant accommodation and airfare package deals. You've also got a world of choice with no less than 400 partner airlines and 665,000 properties. From accommodations and flights to experiences and car rentals, we can give you 24/7 personal assistance with our Customer 1st Guarantee. Have you found an even better bargain? We'll match the price and give you back the difference^. Adjustments to bookings don't incur extra fees from us. And so long as you get in fast, most accommodations won't charge a fee either^. Where do you fly into for Tabant? All packed and ready to go? 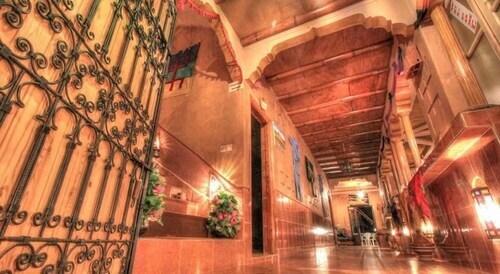 Great — board a plane to Ouarzazate Airport (OZZ). Once the wheels hit the tarmac, you'll be only 60 miles (97 kilometers) from the middle of Tabant. Can I rent a car in Tabant? Secure a rental vehicle via Travelocity for your trip to Tabant. You're sure to encounter some beautiful sights while you're cruising down the road. What's your perfect vacation? Whether it's shiny malls or art galleries, theme parks or peaceful landscapes, Travelocity can help you craft the itinerary of your dreams. Seen all there is to see in Tabant already? Don't fret! Boumalne Dades is just 30 miles (48 kilometers) away and has plenty of activities to keep you busy. The Boumalne Mosque should be at the top of your list. The Monkey Fingers and Boumalne Dades Portico are excellent attractions too. Ouzoud is another nearby destination located just 30 miles (48 kilometers) away. Make your way here for attractions like Ouzoud Falls, the Ouzoud Mosque and Cascades d'Ouzoud. 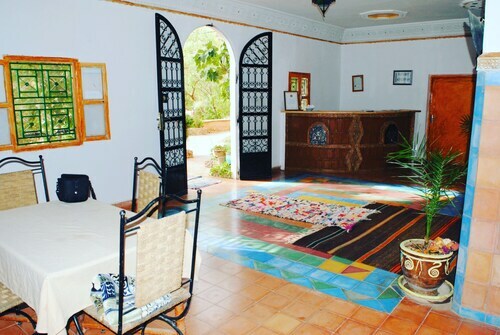 Situated in Ikhf nʼIghir, this guesthouse is 1.5 mi (2.5 km) from Ighrem n'Sidi Moussa. 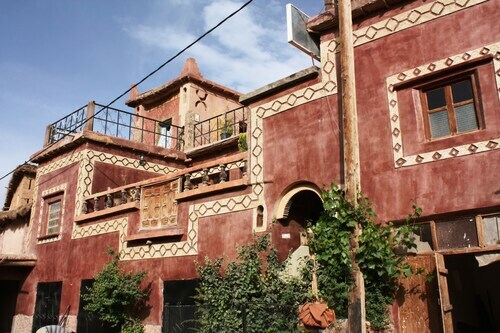 Situated in the mountains, this bed & breakfast is 3.8 mi (6.2 km) from Ighrem n'Sidi Moussa. Situated in Agouti, this guesthouse is 3.7 mi (5.9 km) from Ighrem n'Sidi Moussa. 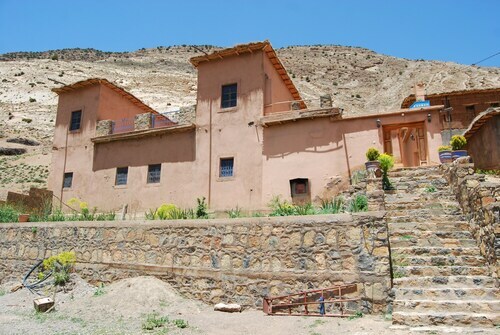 Situated in the mountains, this guesthouse is 0.1 mi (0.1 km) from Dades Gorge and 6.1 mi (9.8 km) from Monkey Fingers. Boumalne Dades Portico and Boumalne Mosque are also within 20 mi (32 km). 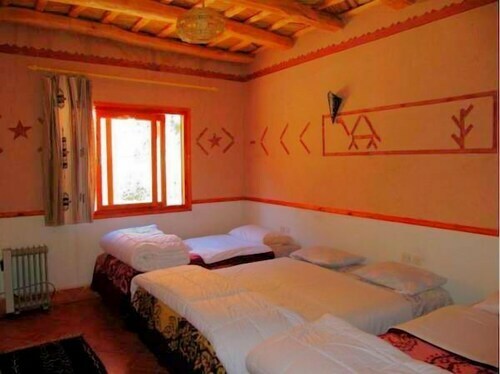 Situated in a rural location, this guesthouse is 0.1 mi (0.1 km) from Dades Gorge and 6.4 mi (10.3 km) from Monkey Fingers. Boumalne Dades Portico and Boumalne Mosque are also within 20 mi (32 km). 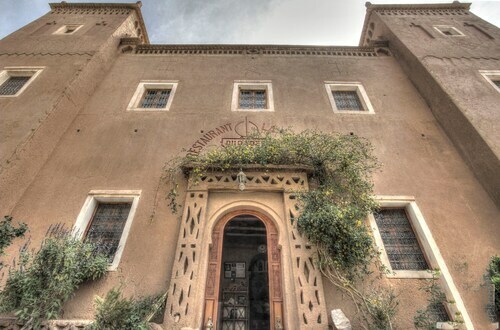 Situated in Ait Sedrate Jbel El Soufla, this bed & breakfast is 0.1 mi (0.1 km) from Dades Gorge and 9.7 mi (15.6 km) from Monkey Fingers. Boumalne Dades Portico and Boumalne Mosque are also within 25 mi (40 km). Situated in the mountains, this guesthouse is within 9 mi (15 km) of Monkey Fingers, Boumalne Dades Portico, and Boumalne Mosque. Dades Municipal Stadium and Dades Gorge are also within 12 mi (20 km). 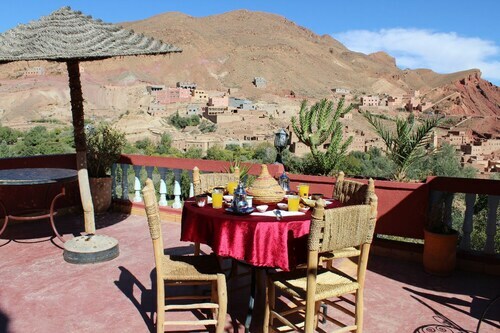 Located in Ait Sedrate Jbel El Soufla, this family-friendly guesthouse is 1.8 mi (2.8 km) from Monkey Fingers, and within 12 mi (20 km) of Dades Gorge and Boumalne Dades Portico. Boumalne Mosque and Dades Municipal Stadium are also within 16 mi (25 km).